I have a little bit of a confession to make, these were meant to be whoopie pies. Do you remember them? For a while there they were really popular. 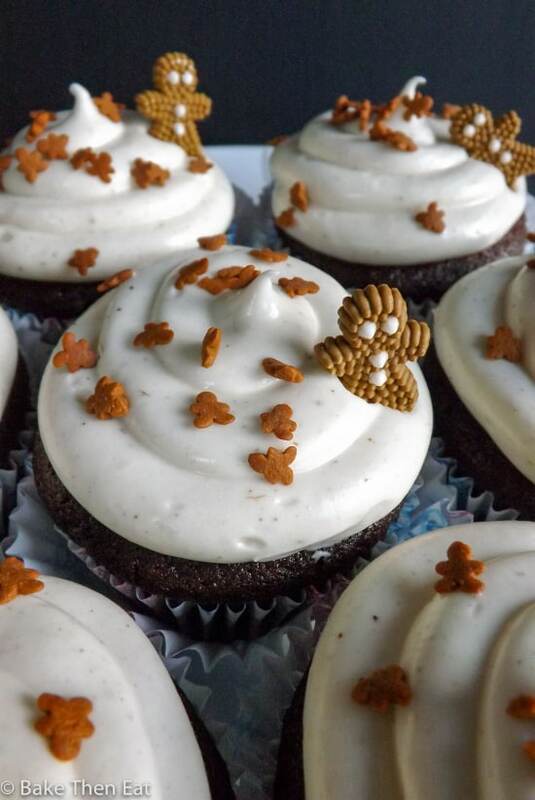 I have only once had them on my site (Pumpkin Whoopie Pies) and I really like them, bigger than cupcakes but smaller than a slice of cake. It’s like having a mini cake all to yourself 😀 But when I popped these in the oven they spread like mad and became one big splurge on the baking sheet. But not one to waste anything I tried a bit and they tasted amazing! 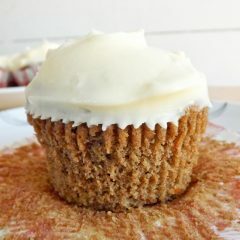 A bit of quick thinking and the remainder of the batter became these amazing carrot cake cupcakes. 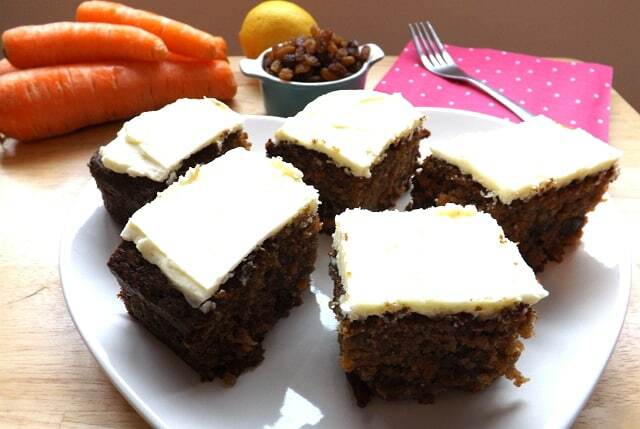 I love a good bit of carrot cake, its sweetly spicy, wholesome and fulfilling especially if its topped with a lovely cream cheese frosting like these lovely treats are. 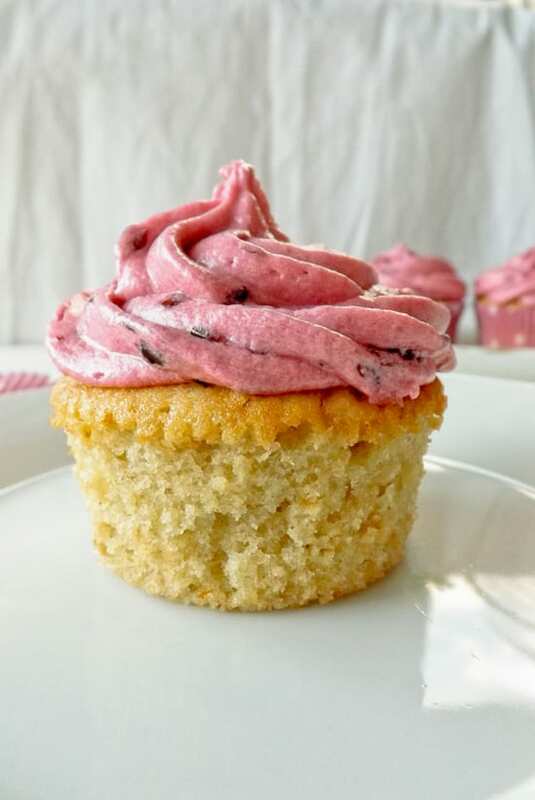 I used a dark brown sugar in these cupcakes, it has a deeper flavour than white sugar and it does help keep baked goods moist (sorry to keep using that word!). You could interchange it for light brown sugar but I wouldn’t use white as you really would loose too much flavour and it might dry the sponge out a little bit. So they may have been failed whoopie pies, but I don’t mind because it meant I had a lovely plate of cupcakes to devour. So even out of a kitchen disaster things turned out okay in the end. Have you ever had a kitchen disaster that turned out for the best in the end? 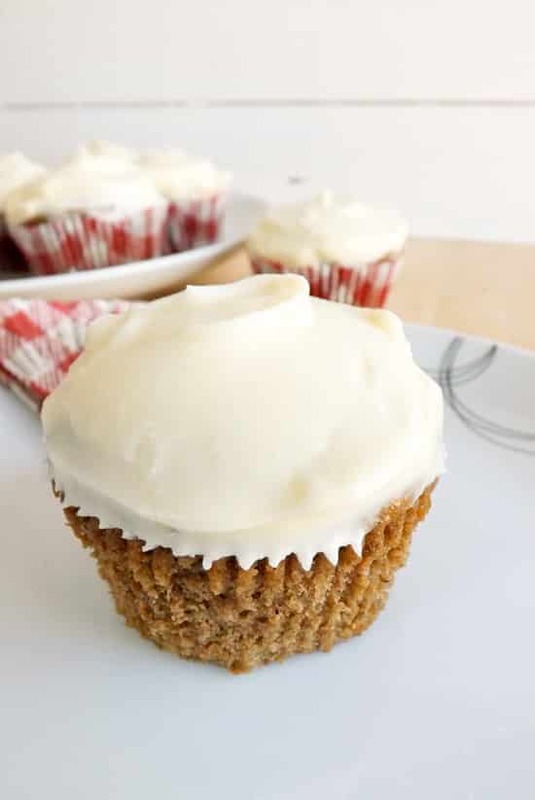 A soft moist fluffy sweetly spiced carrot cake cupcake topped with smooth creamy cream cheese frosting. Preheat your oven to 190C / 375F / Gas mark 5 and either lightly grease a 12 hole cupcake pan or fill it with liners. In either a stand mixer or a large mixing bowl cream the butter and sugar together until light and fluffy. Add in the vanilla extract, grated carrot and the egg. Gently stir till everything is mixed together. Sieve the flour, baking powder, baking soda, cinnamon and nutmeg together. Add half the flour mix to your batter and combine. Then add half the buttermilk and mix again and repeat. Gently fold in the chopped walnuts. Spoon the mixture into your cupcake / muffin pan filling each hole 2/3rd's full. Pop them in the oven for 20 to 25 minutes. Check on them after 20 minutes to see if they are ready, they should be firm to the touch and a nice dark golden brown. If they still fell a little soft give them an extra few minutes. Once baked take them out of the oven but leave them in their pan for 5 minutes. Then take them out and allow them to fully cool down on a wire rack. 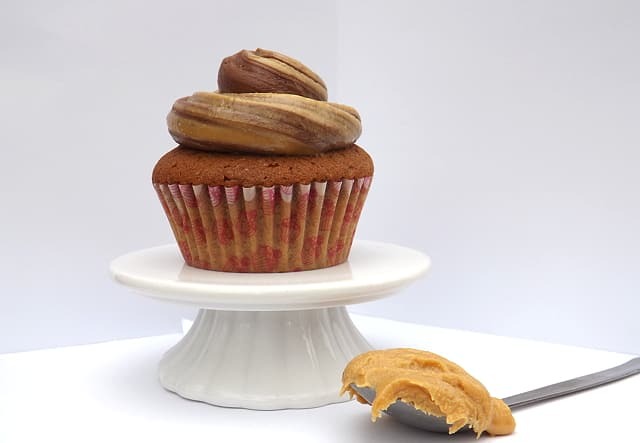 Once they are cool, its time to make the frosting. Beat the butter till it is very pale in colour. Fold in the cream cheese until they are fully combined. 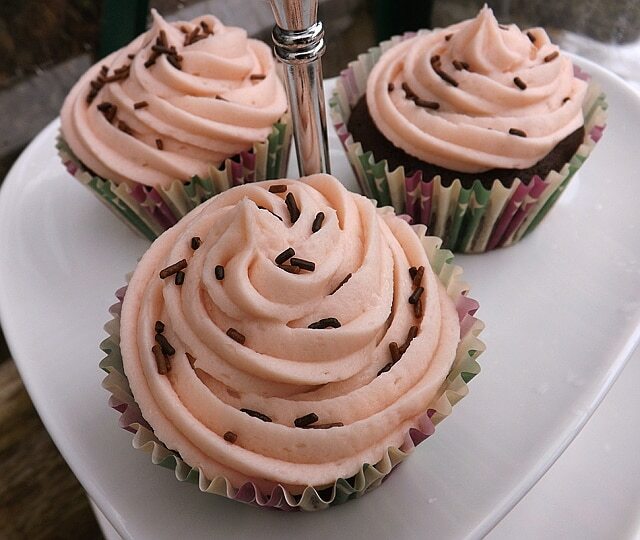 Add in the icing sugar and vanilla extract and gently mix until you have a smooth creamy frosting. Spoon or pipe the frosting on top of the cupcakes then serve. 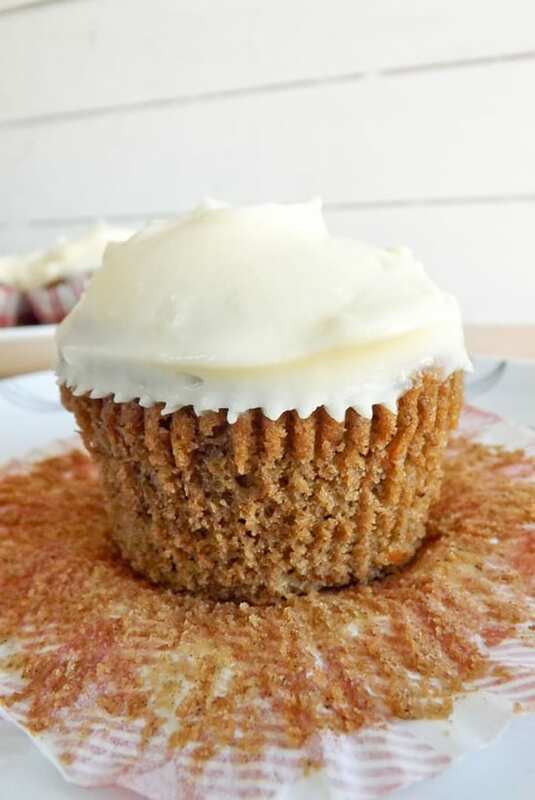 Because of the cream cheese in the frosting these cupcakes need to be kept in the fridge but I recommend bringing them back to room temperature before consuming. They will keep in the fridge for 5 days. 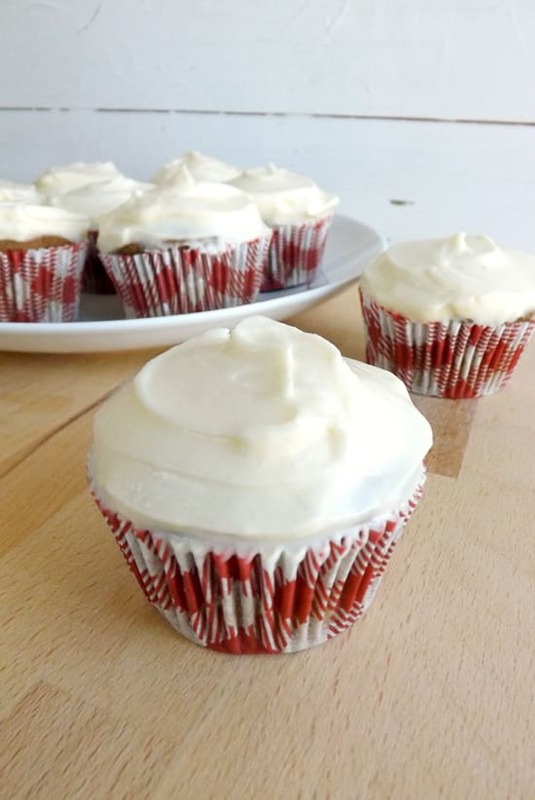 I’ve had a few failures with whoopie pies too but I love that you made cupcakes instead 🙂 They look awesome and carrot cake is always a weakness of mine! Hi Kelly, thank you I too love carrot cake and wasn’t going to waste that lovely tasting batter. I think it was just too thin for whoopie pies I shall try again!!! Good thing you didn’t bake the initial batch all at the same time! 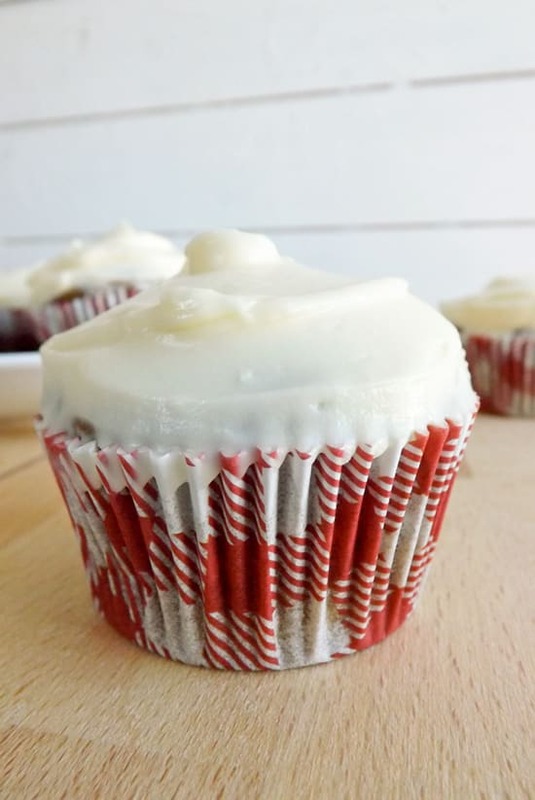 🙂 These look great- especially with the cream cheese frosting! Love it when baking disasters turn out surprisingly good in the end! Hi Von, it was a good thing 😀 there is something satisfying about saving a bake in the 11th hour with a new idea! 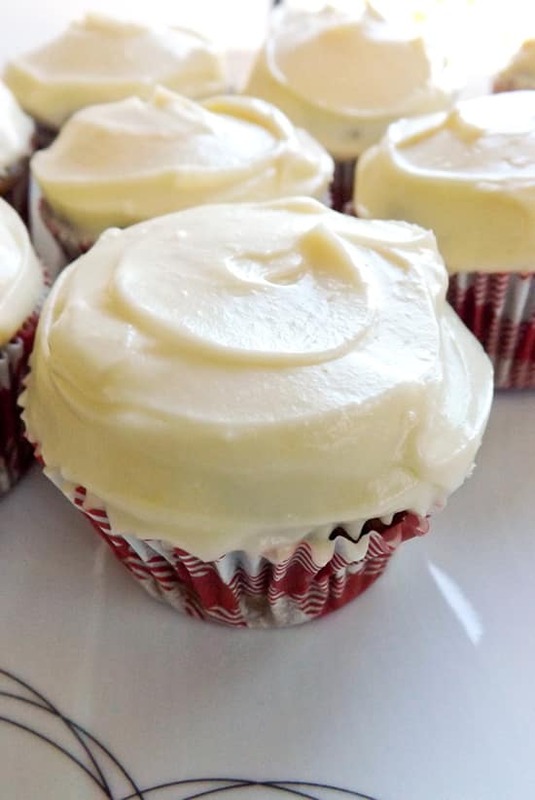 Cream cheese frosting is a weakness of mine…these look don’t look like a “disaster” to me! 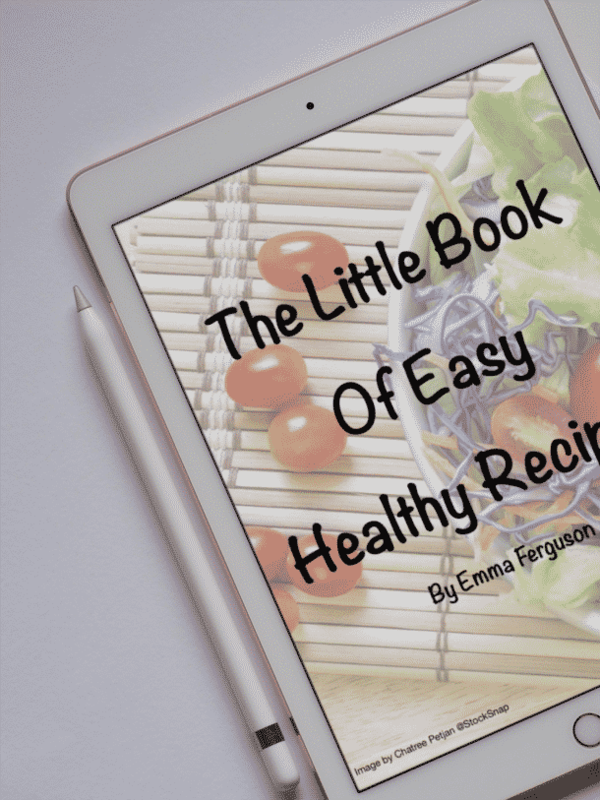 It’s always a plus when you can turn one recipe gone wrong into another gone so very right! 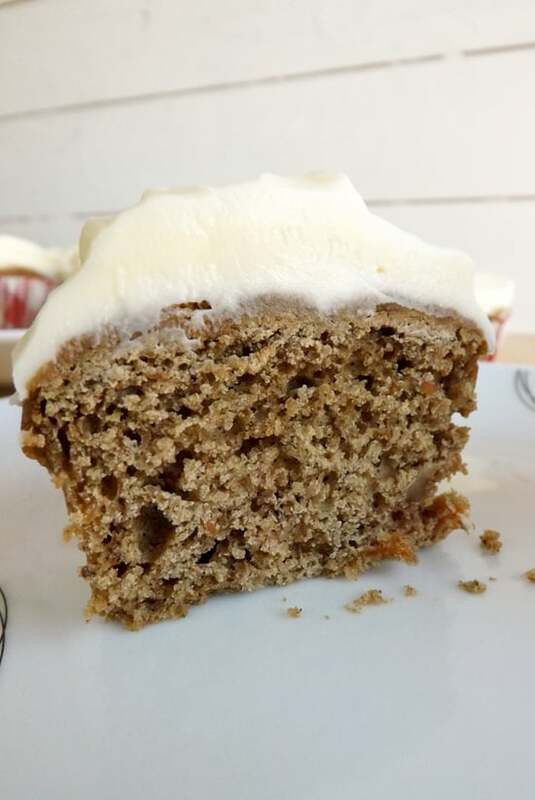 Hi Brianna, baking disasters are part of the experience of running a food blog I’m just glad I managed to get something good out of it 😀 I too love cream cheese frosting and can happily eat it by the spoonful! 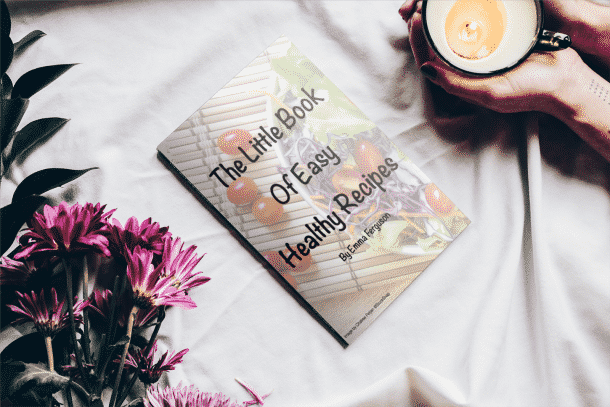 Hi Corinna, thank you it has taken a few years for me to learn how to think quickly on my feet in the kitchen, I have saved a few potential disasters… 😉 I am sure your little girls tastes will be constantly evolving and you will struggle to keep up! 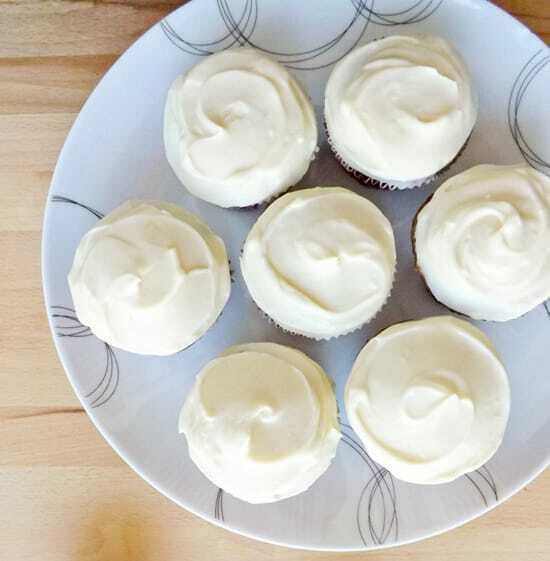 These cupcakes with cheese frosting look divine!